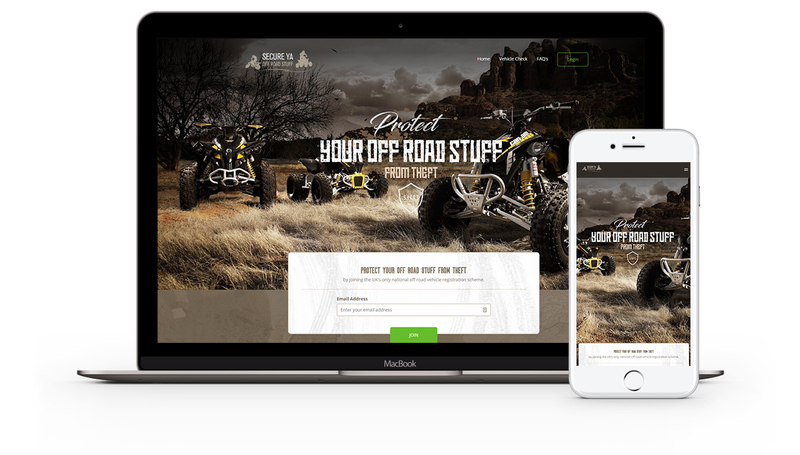 SecureYaOffroadStuff is an offroad vehicle registration & protection system that allows you to register your prized vehicles online. You can sign up for a free account, and it costs just £3 to register a vehicle. You can then upload your vehicle frame number, detailed information and photos. The site generates a downloadable PDF that you can then print out, and your vehicle details are kept securely on the database. The project was an interesting one to work on, and the idea itself is great. We created a slick looking responsive website built in WordPress, and connected the site with Paypal in order to take secure payments.